The Barefoot Resort Fazio Course runs through a spectacular piece of property in the heart of Barefoot Resort in North Myrtle Beach. Because of the natural beauty this project presented, Tom Fazio performed his magic with this design. Like many European courses, the course does not return to the clubhouse after nine holes. Consequently it is not a British links land course, but rather a classic Lowcountry South Carolina golf course design. Therefore it’s filled with live oaks, pines, sand, natural areas and native grasses. The Barefoot Resort Fazio course was also prominently featured on the Golf Channel’s hit show, the “Big Break Myrtle Beach” in 2014. 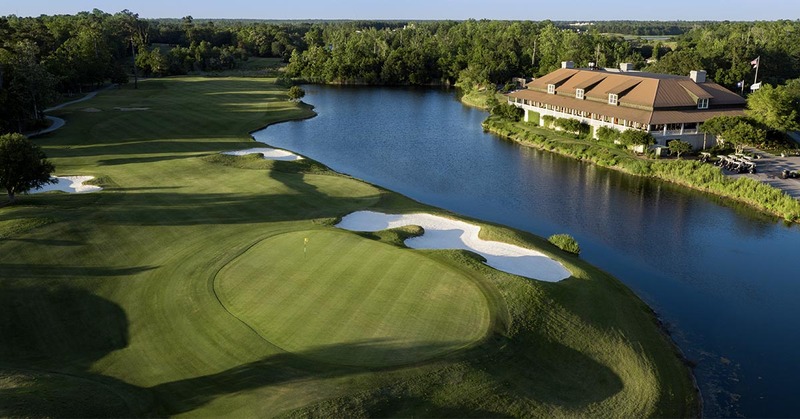 Located between the Dye Course and the Love Course, the Barefoot Resort Fazio course is strategically designed, incorporating extensive tree cover and many lakes into the landscaping. Waste areas and formal bunkers are handcrafted and placed for visual and strategic effect. Natural elevation changes add a sense of drama and excitement to the golfing round. Water features on 15 of the 18 holes, yet many lakes are in out-of-play areas to result in maximum playability. Tees and fairways consist of GN-1, a hybrid turf developed by Greg Norman Turf. 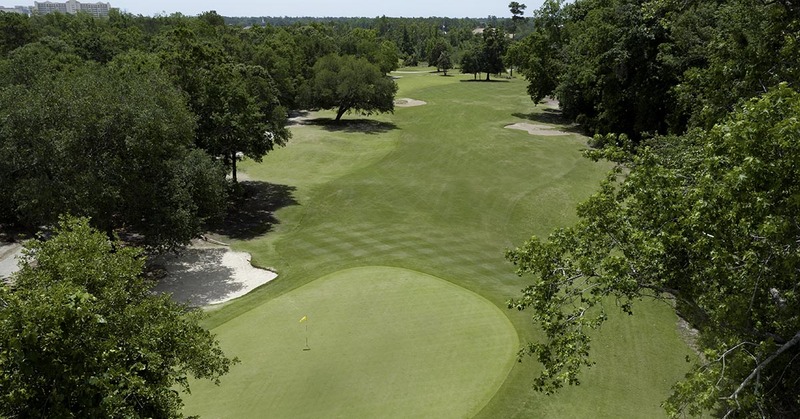 The approach areas consist of Tif – sport Bermuda grass. The green surfaces are a Champion Ultra Dwarf Bermuda and the rough areas are 419 Bermuda grass. In addition Barefoot converted the greens to the new Champion style during a two-year renovation project in 2011-2013. In addition, the course features an outstanding 19th hole clubhouse with great dining options for lunch and breakfast. 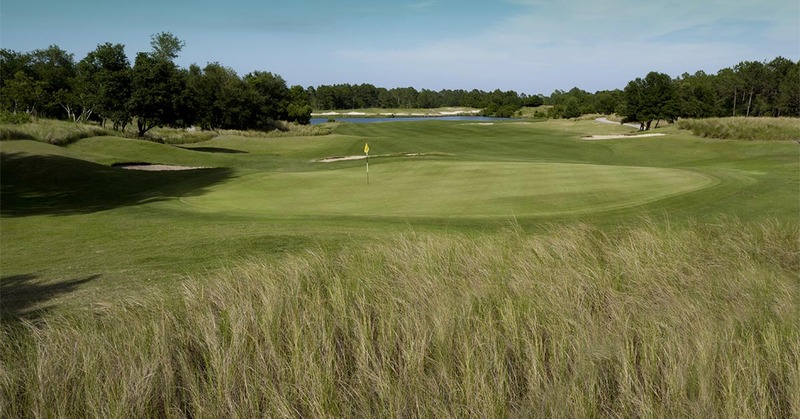 The Barefoot Resort Fazio Course is a Par 71, approximately 6,834 yards long. The course has four sets of tees boxes. 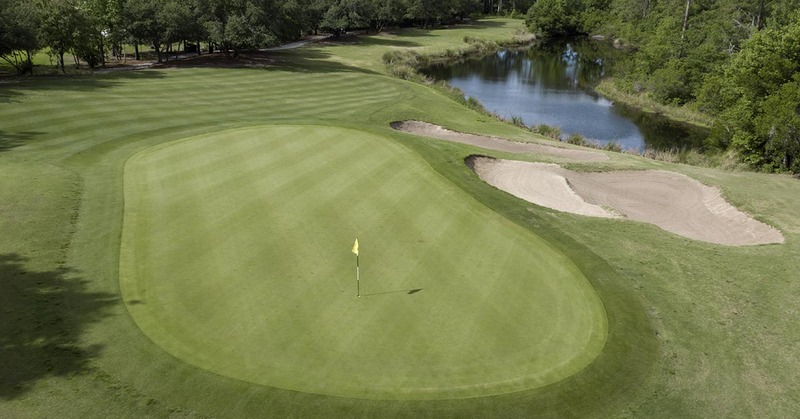 This gives players of all skill levels the opportunity to play a North Myrtle Beach golf course of championship caliber and consequently have the right balance of fun and challenge.